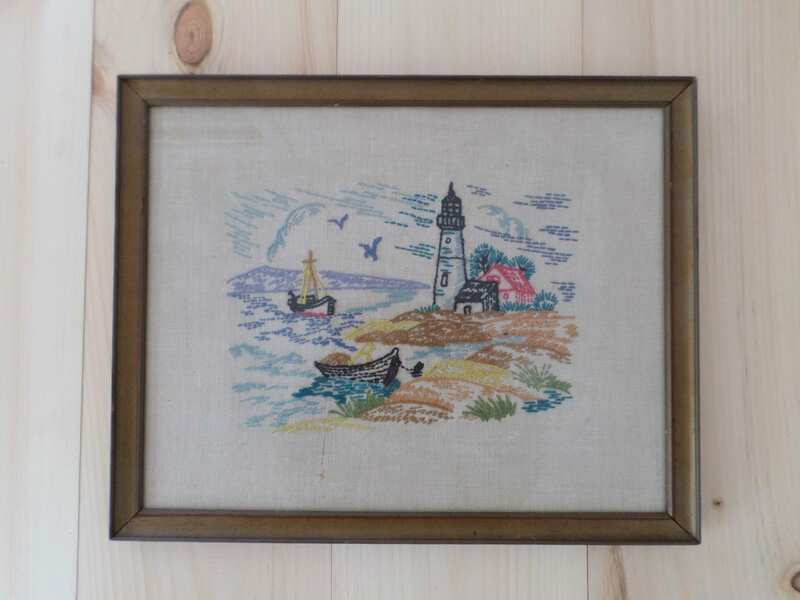 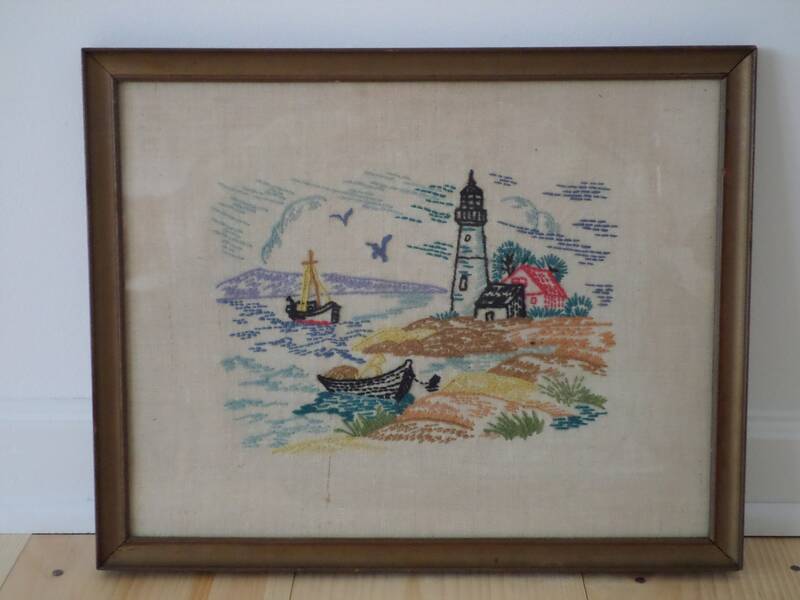 This example of hand embroidery is framed and measures approximately 15" W x 10"T.
Vintage textile art - shows some signs of age, discoloration, and frame nicks. 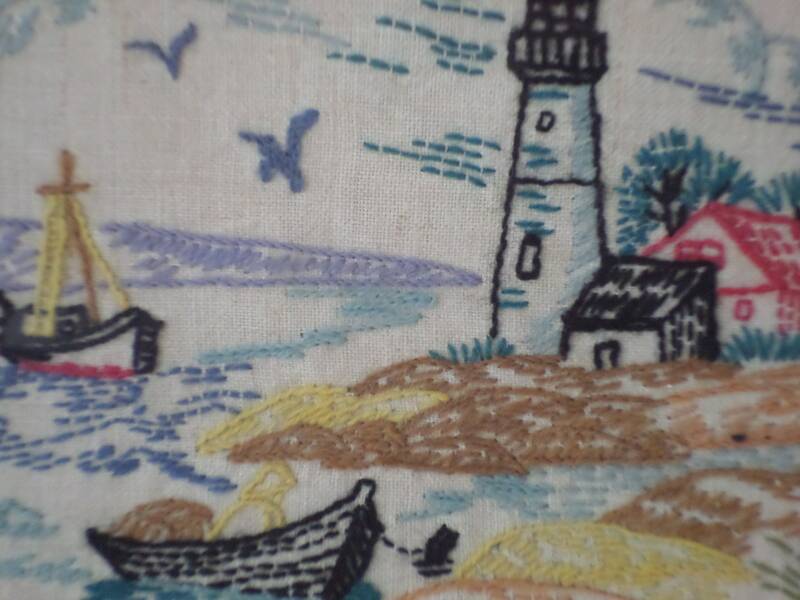 Fabric and yarns are intact with no discernible rips, tears or snags. 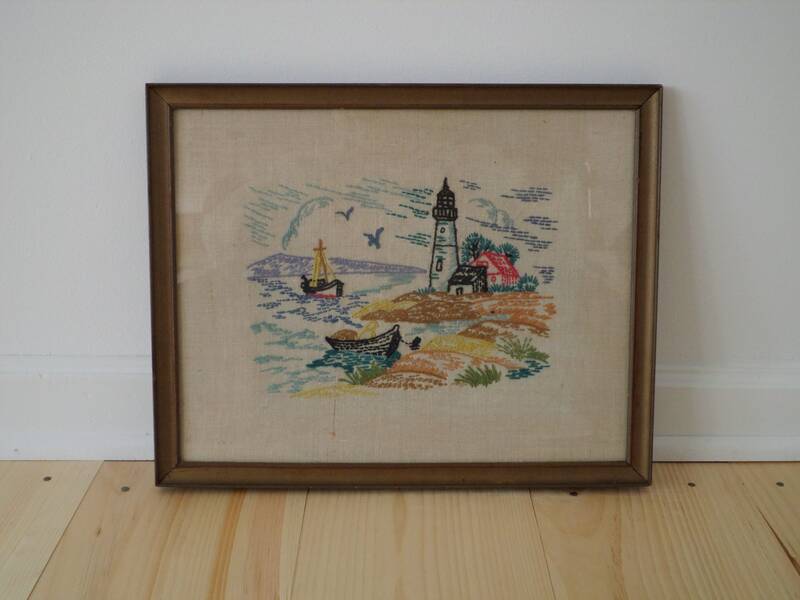 Framed under glass.